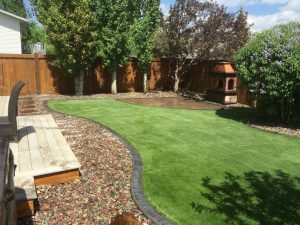 Dark colored concrete curb appeal separating mulch from a green lawn - Curb Design Inc. Dark colored concrete curb appeal separating mulch from a green lawn. Big Trees in the background with a large fireplace.